Offer families of students served by community learning centers opportunities for active and meaningful engagement in their childrens education, including opportunities for literacy and related educational development. Priority 3: Increasing Geographic Equity (10 Points): Ten bonus points will be awarded to applications that propose to serve an eligible school or schools in a South Carolina public school district that is not currently being served with 21st CCLC grant funds or has not been served with such funds since the 201516 academic year. adult family members of participating students with literacy and other educational services. A proposed 21st CCLC is required to operate in a manner that maximizes the programs impact on the academic performance of participating students. Applicants must propose academic instruction and enrichment activities to help students meet and exceed state and local standards in core content areas such as reading, mathematics, and science. Proposed 21st CCLCs services are to be provided outside the regular school day or during periods when school is not in session (i.e., before-school, after-school, evenings, weekends, holidays, or summer). A proposed program may offer services to students during normal school hours on days when school is not in session (i.e., school holidays or teacher professional development days). Activities targeting pre-kindergarten children and adult family members may take place during regular school hours, as these times may be the most suitable for serving these populations. Services and benefits provided to private school students must be secular, neutral, and non-ideological. If services are to be provided in a location other than a public school, the location must be at least as available, safe, conducive to learning, and accessible as a public school. SCDE staff may visit and tour locations that are not public schools prior to finalizing an award. Approximately $10,000,000 was available in total funding for FY18. Purchase, construct, or renovate a building. A consortium of two or more such agencies, organizations, or entities. All applicants must meet the criteria associated with either a joint applicant or a consortium to be considered for funding. The deadline to submit applications is April 19, 2019. A similar deadline is anticipated annually. 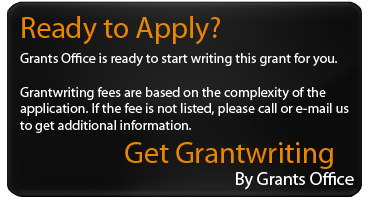 Approximately $7,000,000 is available in total funding for up to 35 awards. Award amounts will be determined based on the type of applicant and the number of students to be served. Awards will be at least $50,000 each. The maximum subgrant funding period is four years (August 1, 2019, through July 31, 2023).